AtlasIED WMA half rack units are a unique, patent pending solution that offers integrators a solution for challenging installation scenarios. The unique swing down design makes these racks ideal for small equipment closets or as space saving options in offices, retail stores, industrial complexes, education facilities, and any installation where space is a premium. 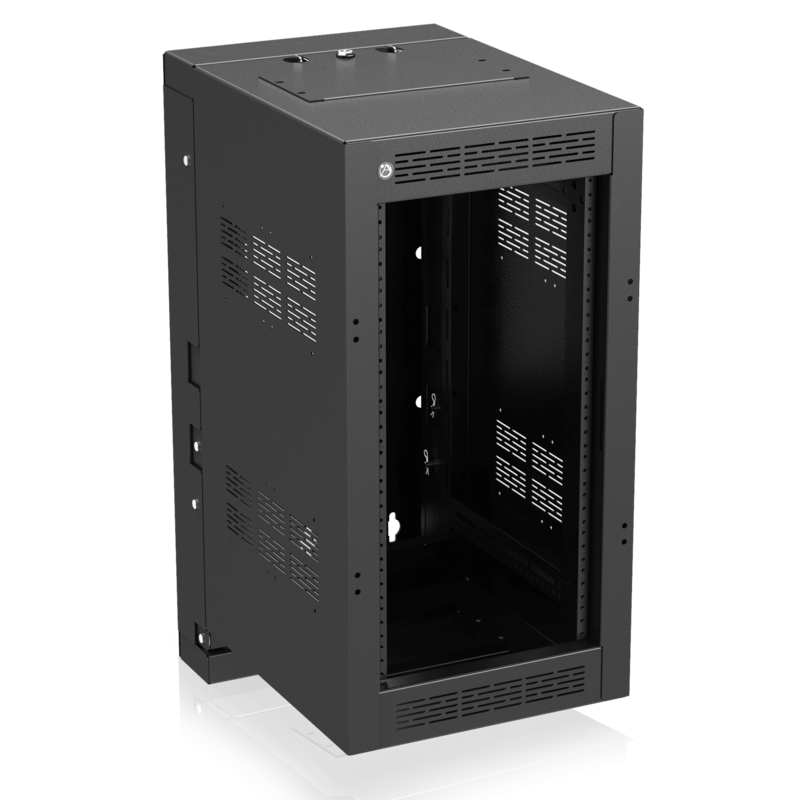 The AtlasIED WMA12-19-HR is a wall mounted rack designed to accommodate mounting of half rack width components or vertical mounting of 19" rack width components. 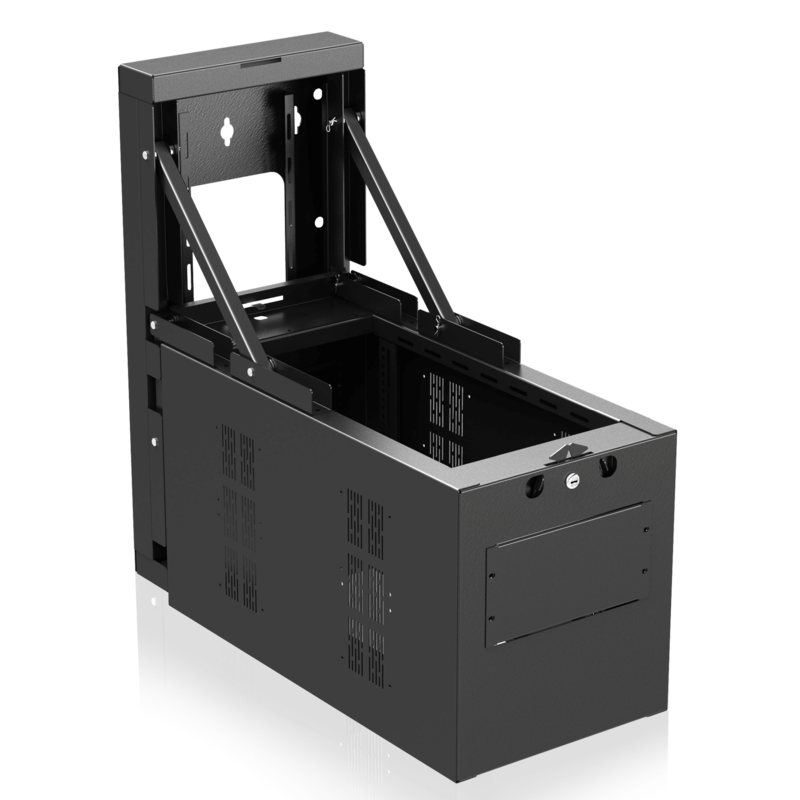 Additionally, this model features a unique, patent pending swing down design that enables an integrator or contactor to access the back of the rack for easy connection and wire management of installed components. Model includes front, adjustable 12-gauge CRS rack rails tapped at 10-32 and is equipped with provisions for wire man­agement, equipment mounting, and structural support. 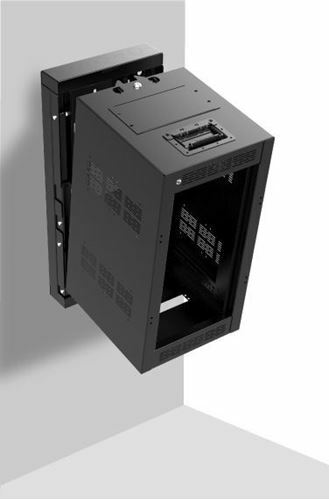 Top and bottom removable 3RU panels are located in the center section of the cabinet for the optional EFP3-HR fan panel for further ventilation. 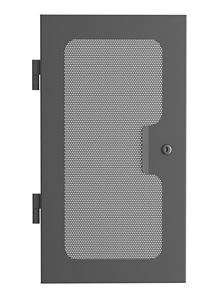 Perforated vents, located on both sides (top and bottom) of the center section, provide ventilation for rack-mounted electronics. Unit is constructed in our Ennis, TX facility using durable 16-gauge CRS that is finished in a black electrostatic powder coat.